Today, I’ll start by telling you all about the most important parts of Edinburgh you definitely shouldn’t miss when visiting. But let’s start at the beginning. Edinburgh has its own airport which is easily reached by bus. That was also how we got to the city centre. It took us about half an hour, so I definitely recommend this over taking a taxi. Our friend’s apartment was located just about 10 minutes by foot from Princes Street, so after a quick dinner, we immediately went on visiting the beautiful Christmas market there. If you are interested in reading more about the Christmas market, just click the link below the blogpost. Another thing not to miss is the Royal Mile, which is, together with Princes Street, the most famous street in Edinburgh. 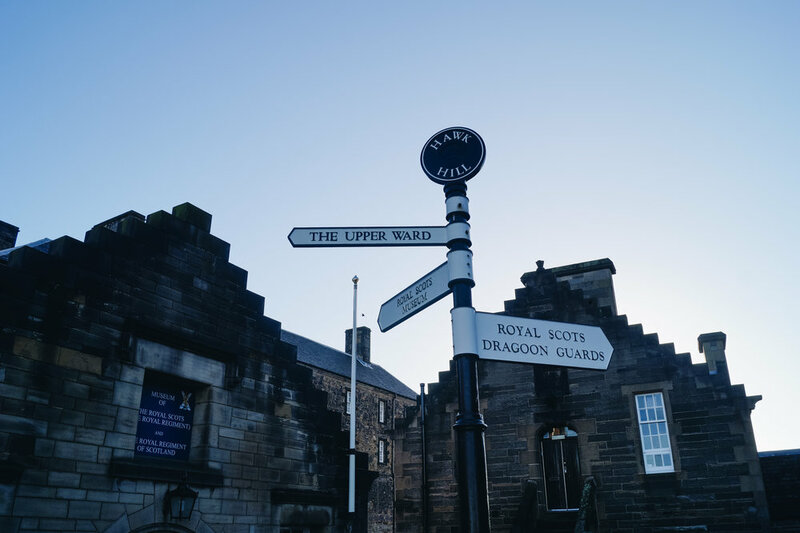 The Royal Mile extends itself from Holyrood Palace (the official residence of the British Queen in Scotland) to Edinburgh Castle. Along the way you’ll see numerous little shops, tea rooms, pubs or you can simply admire the beautiful buildings that definitely have a lot of flair. To be honest, somehow it felt like every second, someone could play Quidditch above our heads, as it looked like the streets were taken straight out of a Harry Potter film. Like I mentioned, at the end of the street you’ll reach Edinburgh Castle. 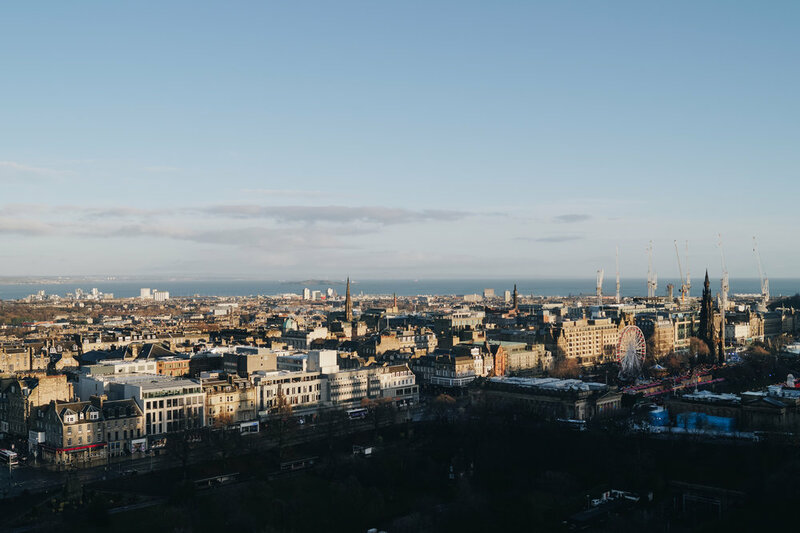 The view from there onto the city is just beautiful and you can see how close the city centre is to the sea – something a bit hard to imagine when you see it during the cold and wet Scottish winters. 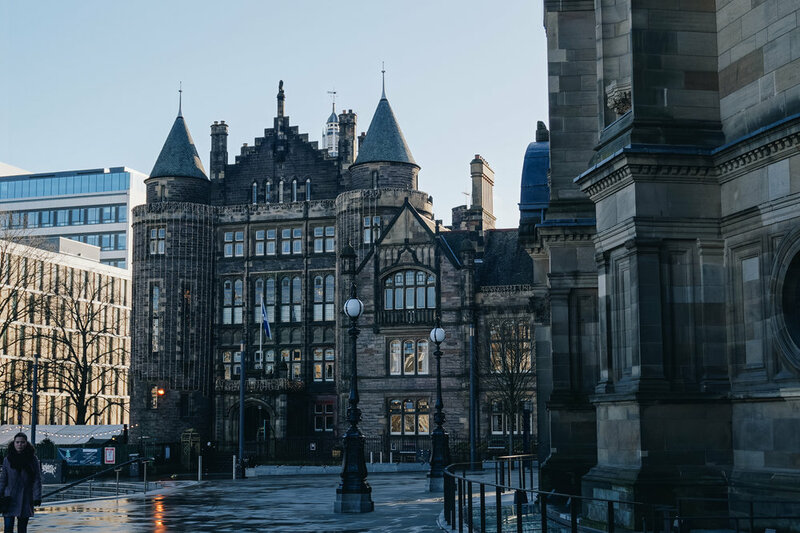 While you can visit most of the museums in Edinburgh for free, you have to pay a few Pounds entry fee for the castle, but it is definitely worth it. If you come early, you can be lucky enough to take some pictures of the building before the place in front of it gets packed with tourists. Again, I have to highlight the beautiful narrow streets in the city, one of them being Victoria Street. Victoria Street, in my opinion, is Edinburgh’s prettiest one. The street is curved and going downhill (or uphill, depending on the direction you’re going) and again filled with various little - mostly independent - shops. Particularly beautiful: the colours of the street! Beautiful by day, as well as by night. At the foot of Victoria Street is Grassmarket. A little place filled with lots of pubs and restaurants, where you can see Edinburgh castle from. 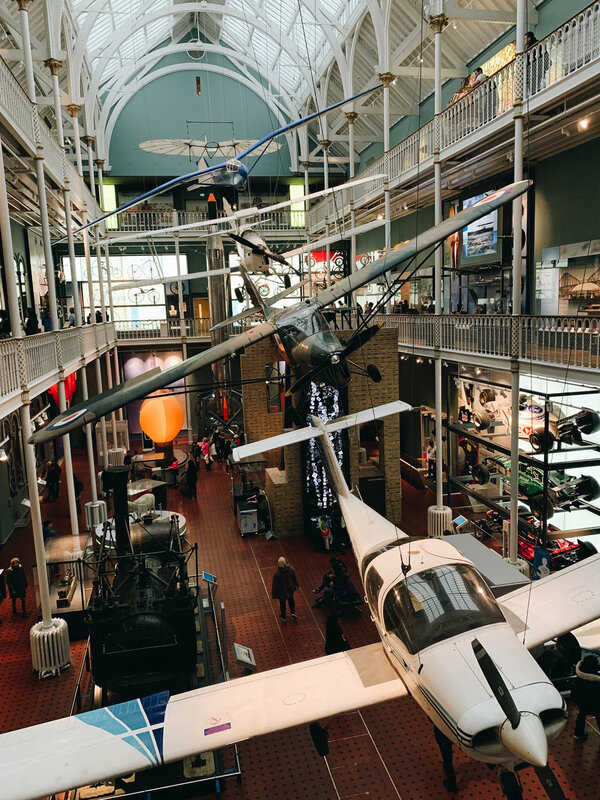 Like I have already mentioned, you can visit most of the museums in Edinburgh for free, and that also includes the National Museum of Scotland. Normally, I am not the biggest fan of museums as they can get quite boring, but here it’s definitely different. We spend about three to four hours there and I could have spent even more! The museum has 4 different floors; on thing that’s great – it’s interactive: you can test your reaction time, solve riddles, and sit inside a Formula 1 racing car. Sadly, the section on ancient Egyptian history was being redone and not accessible to the public until February. Surely a part I would have loved to visit, but at least now I have another reason to come back. The National Galleries of Scotland, too, are open to the public for free and it seems they have a pretty collection of arts, but since none of us were particularly fond of looking at paintings after already having spent hours in a museum, we didn’t spend too much time there. The Gallery is located in Princes Street, right next to the place where the Christmas market was, so if you are in that area, I recommend you pay it a visit. 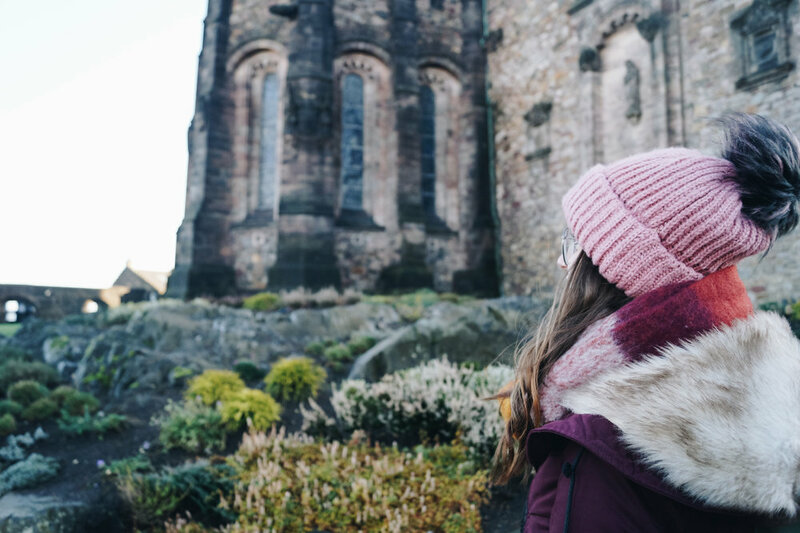 I hope you liked the first part of my travel guide to Scotland and I can’t wait to tell you more about Edinburgh, Glasgow and the Scottish Highlands over the next weeks.